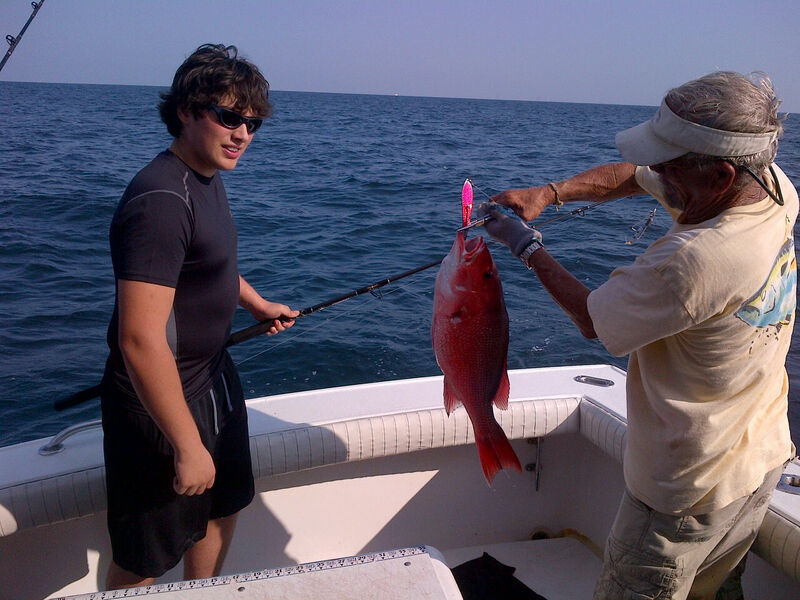 TX teen travels to the AL Gulf Coast with his Dad, just to fish & fish again! 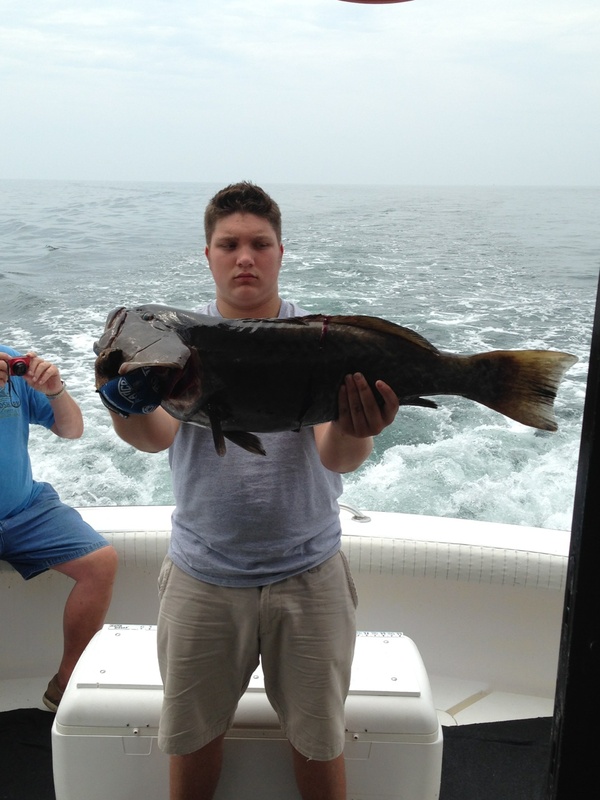 Hans planned a trip with his son centered on joining semi-private deep sea fishing charters to give Jonathon as many opportunities as possible to hook up to Gulf of Mexico fish during their brief vacation. 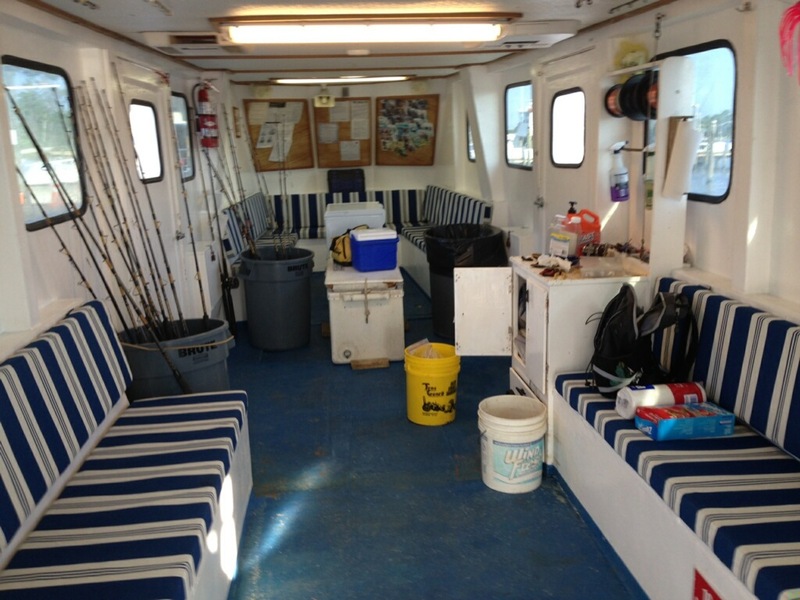 The first day AAA Charters arranged a shared expense trip with another father/son pair & a couple to charter the six passenger F/V Music til Midnight for a 6 Hr combination trolling & bottom fishing charter. 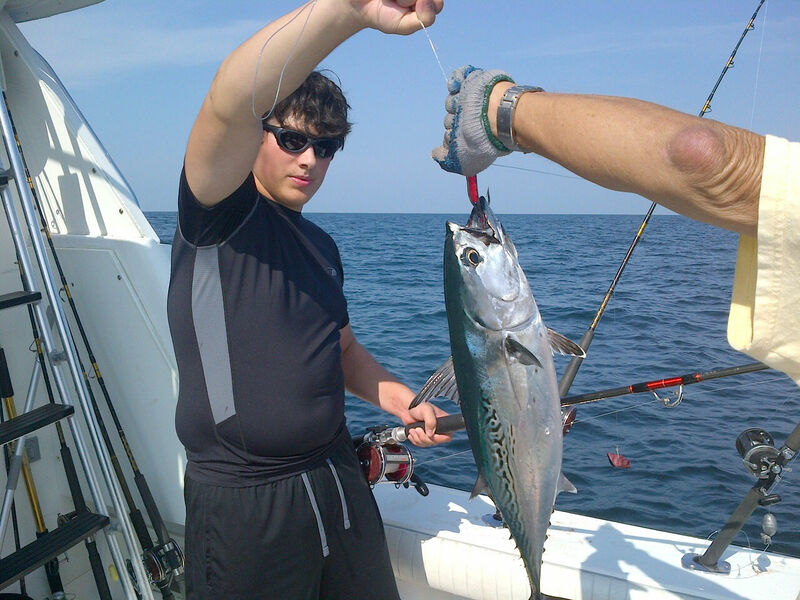 TX teen Jonathon travel to Alabama with his Dad to get their Deep Sea Fishing Fix! The next day we arranged a 10 Hr. deep sea fishing charter to head further offshore to target bigger fish, including amberjack and groupers (which are both in harvest seasons right now). These longer trips allow the time for captains to travel 30+ miles offshore to deeper waters and area that have less fishing effort than the spots closer to shore. Captain Bryan Reeves put these angler on lots of big fish! 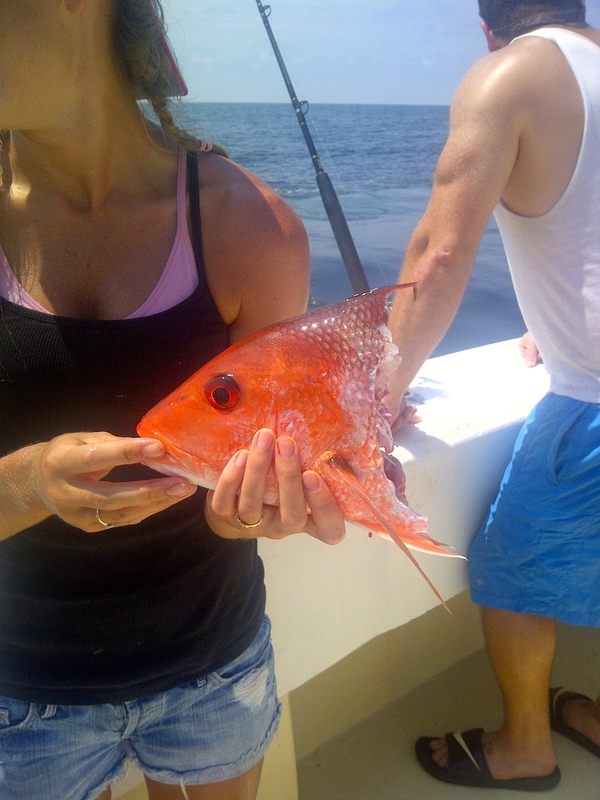 This entry was posted in Fishing and tagged affordable deep sea fishing, affordable family fishing, alabama bottom fishing, alabama deep sea fishing, alabama gulf coast fishing, deep sea fishing alabama gulf coast, gulf shores deep sea fishing, gulf shores family fishing trips, gulf shores semi private fishing charters, offshore fishing gulf shores al, Orange beach deep sea fishing charters, orange beach walk on fishing charters, walk on charters gulf shores al on August 15, 2014 by AAACharters Team. 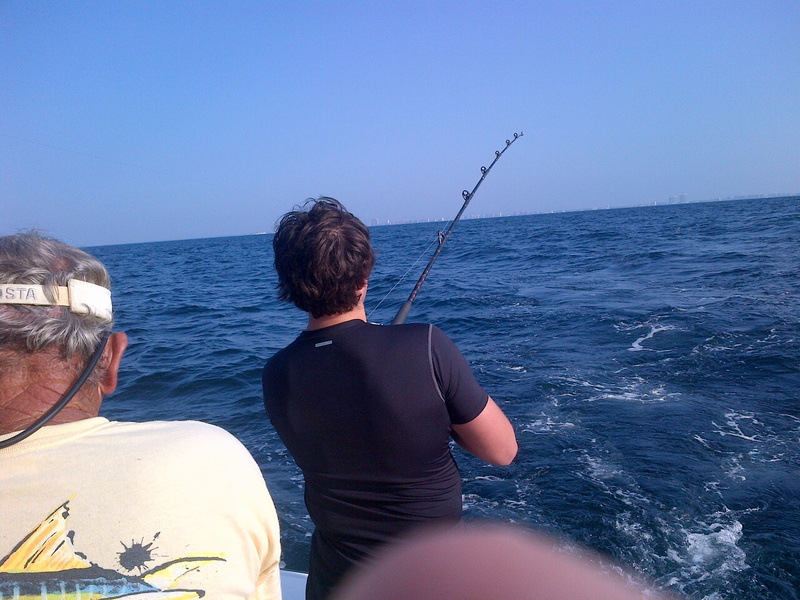 Looking to Catch a Big Fish Deep Sea Fishing? Join a Full Day Semi-Private Charter Weds! 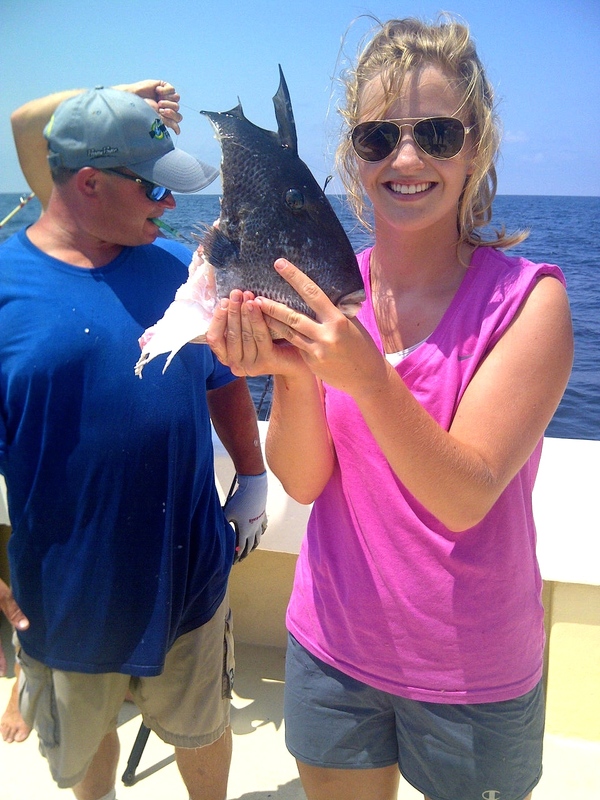 Longer full day deep sea fishing charters allows the time to travel 20-40 miles offshore to bottom fish over the thousands of artificial reefs along the Alabama Gulf Coast. The majority of the Alabama Charter Fleet has been fishing 4 HR – 6 HR trips during the last two years, and few boats have ventured out to the fishing spots further offshore. 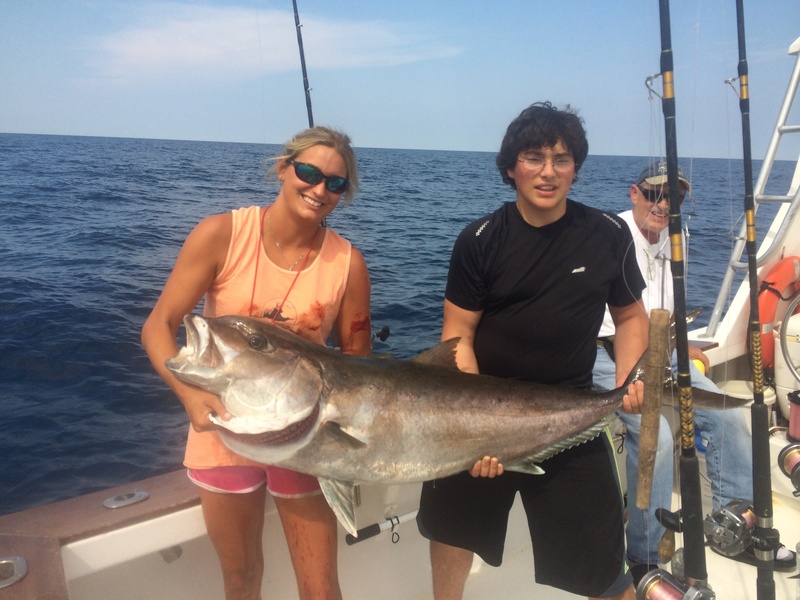 With the drop in fishing effort in these spots; and the opening of the federal recreational 2014 Amberjack season again: NOW is an ideal time for deep sea fishing for larger fish. When an Amberjack is on your line, get ready for a fight! It is common for Gulf of Mexico Greater Amberjack to weigh in at 20-50 lbs, but the current Alabama State Record for Amberjack is 127 lbs 12 ozs. 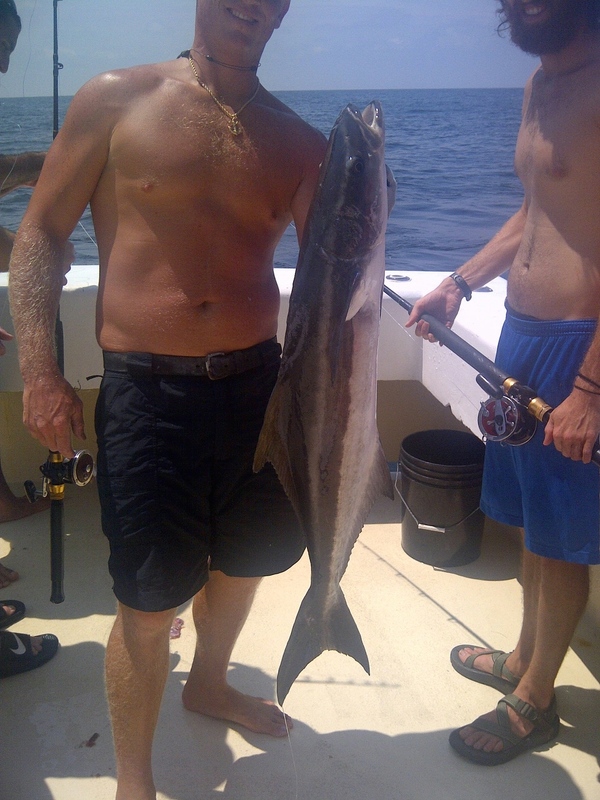 Amberjack are aggressive predators, strong swimmers, are a blast to catch, and great on the grill. Gulf of Mexico Groupers are in Season too. Come and Get ’em! Our artificial reefs attract a variety of bottom fish that live around these structures, including groupers that gather off the gulf bottom in holes. This is the time of year that we can harvest both shallow water groupers (including black, misty, red, yellow edge, yellowfin, skamp and yellowmouth groupers) and gag grouper. The “trick” to catching these is to get the bait past all the other fish that gather at these structures. As the sun rises, we will be traveling out Perdido Pass in Orange Beach, AL and heading offshore. 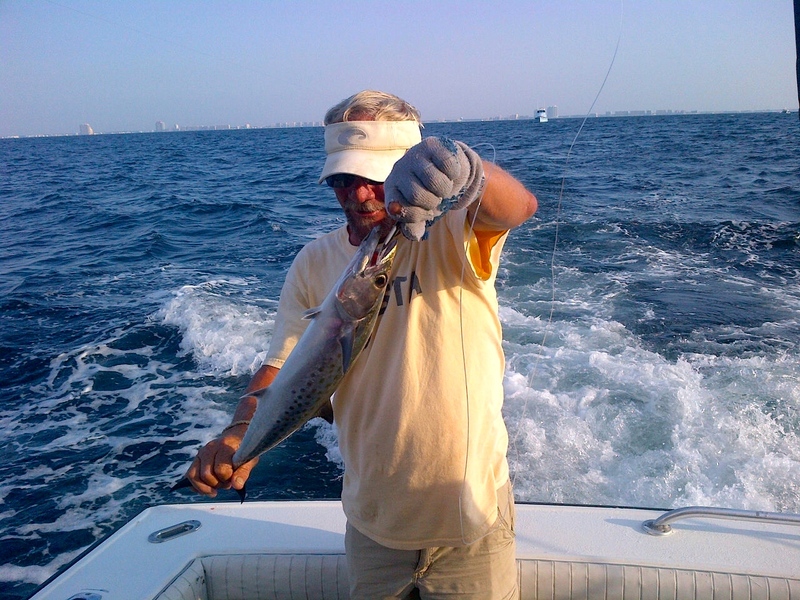 While near the coast, the mate will set a couple of lines behind the boat while it is moving to troll for pelagic species such as spanish and king mackerel. The captain will map a course of fishing spots that are home to a variety of bottom fish species including grouper, amberjack, snapper, and triggerfish. All of the fishing action may also attract a shark or two to the lines. 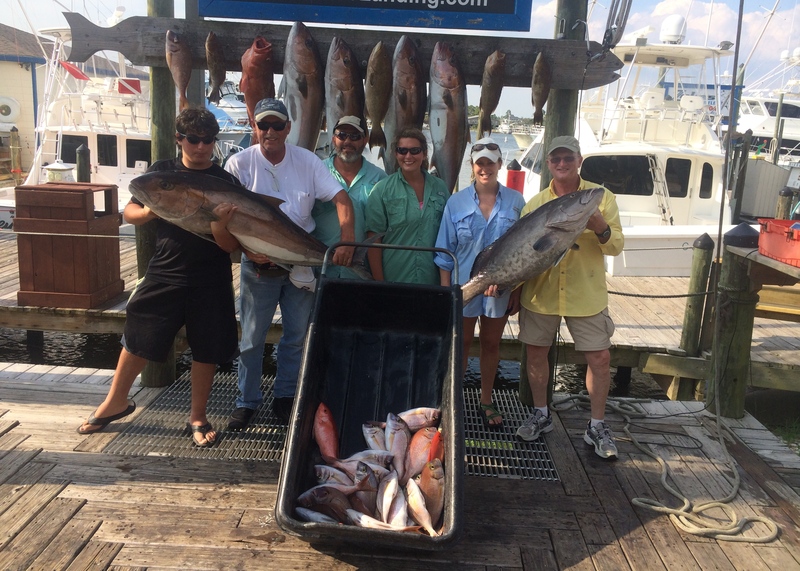 These longer fishing trips offer the opportunity for a full day of fishing on a spacious air conditioned charter boat, with a seasoned Captain & professional crew, for a variety of fish that live in the Gulf of Mexico, including the big ones! 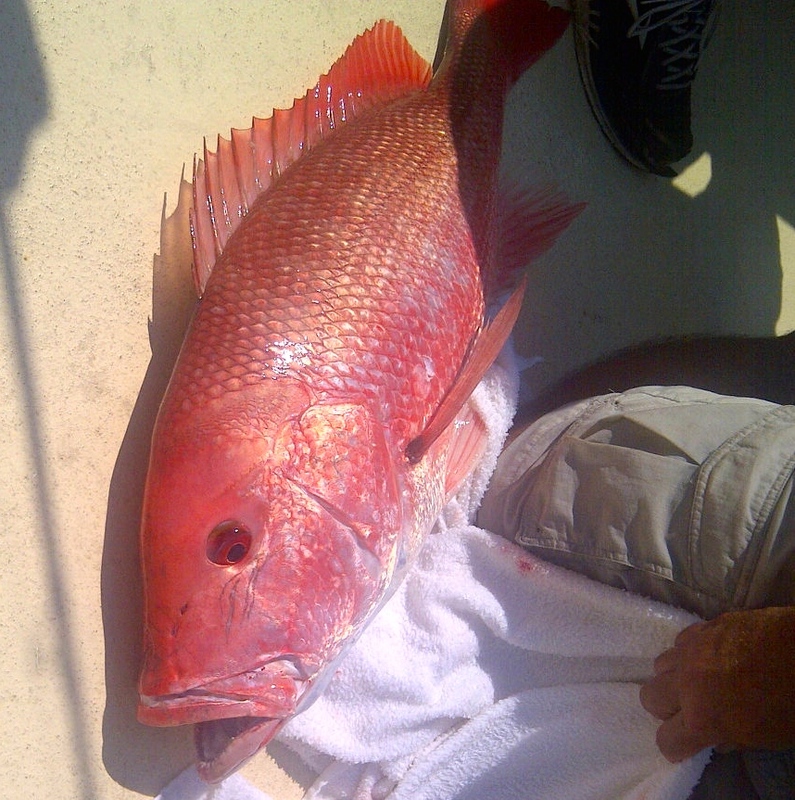 This entry was posted in Fishing, News and tagged affordable deep sea fishing, alabama amberjack fishing charters, alabama deep sea fishing, amberjack fishing, bottom fishing alabama gulf coast, deep sea fishing for amberjack, family fishing charters in gulf shores al, gulf of mexico amberjack charters, gulf of mexio grouper fishing charters, gulf shores deep sea fishing tours, gulf shores semi private fishing charters, gulf shores semi-private, orange beach al bottom fishing, orange beach al walk on fishing trips, Orange beach deep sea fishing charters, walk on fishing trips gulf shores al, what fish are biting in gulf shores AL on August 9, 2014 by AAACharters Team. 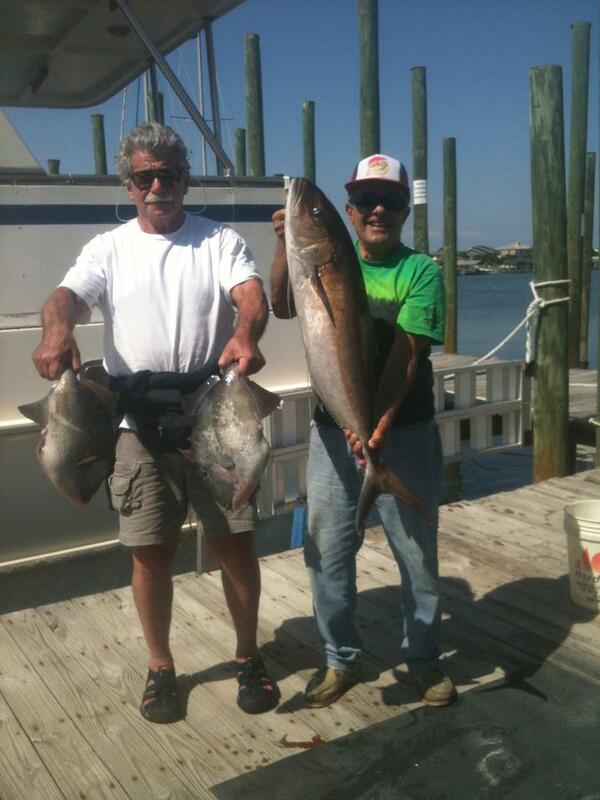 Amberjack & Triggerfish Seasons are back! 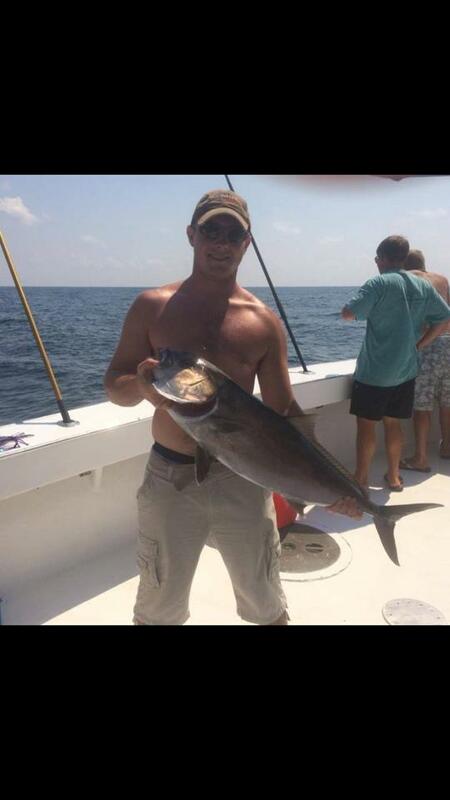 Amberjack Season is Open Again in Federal Waters as of Aug 1, 2014! When an Amberjack is on your line, get ready for a fight! 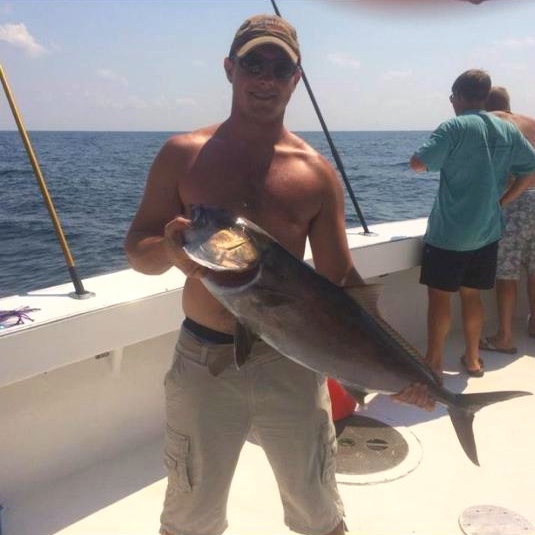 It is common for Gulf of Mexico Greater Amberjack to weigh in at 20-50 lbs, but the current Alabama State Record for Amberjack is 127 lbs 12 ozs. Amberjacks are aggressive predators, strong swimmers, and are a blast to catch. Triggerfish & Amberjacks are back in season! For decades the charter boat captains of the Alabama Gulf Coast have invested thousands of dollars each year to deploy artificial reefs to the Gulf waters to provide ideal habitats for reef fish to gather and grow. When our captains take you deep sea fishing, many of the spots that are fished are above reefs they have built throughout the years. Our captains treat these fishing locations like gardens that can be pruned, but not completed harvested. Normally our captains are keeping close watch on the fish caught and will move on once a certain number of fish go in the fish box to leave some fish to breed and be caught again another day. The fish populations of the Gulf of Mexico is a great natural resource we treat with respect and conservation. 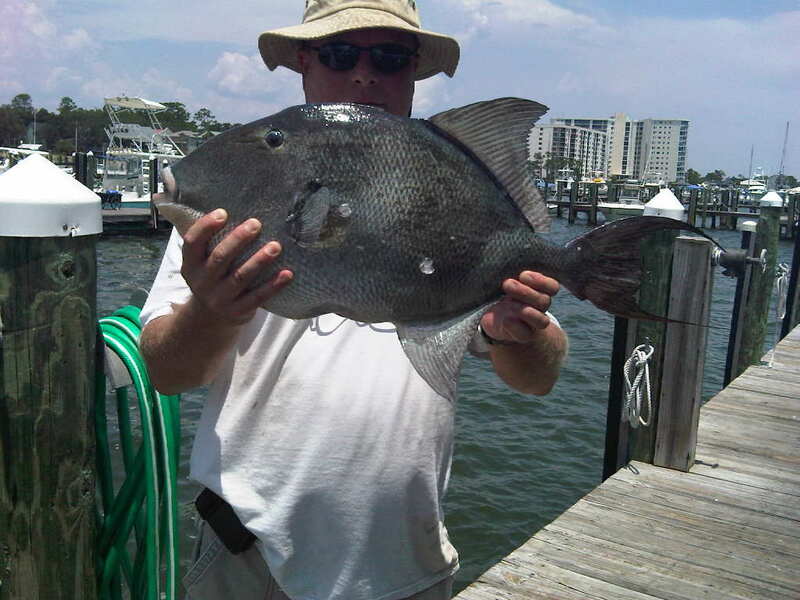 August 1, 2014 FL state waters opened for recreational harvest of triggerfish again this year. These are TASTY fish and a favorite of locals and visitors alike. 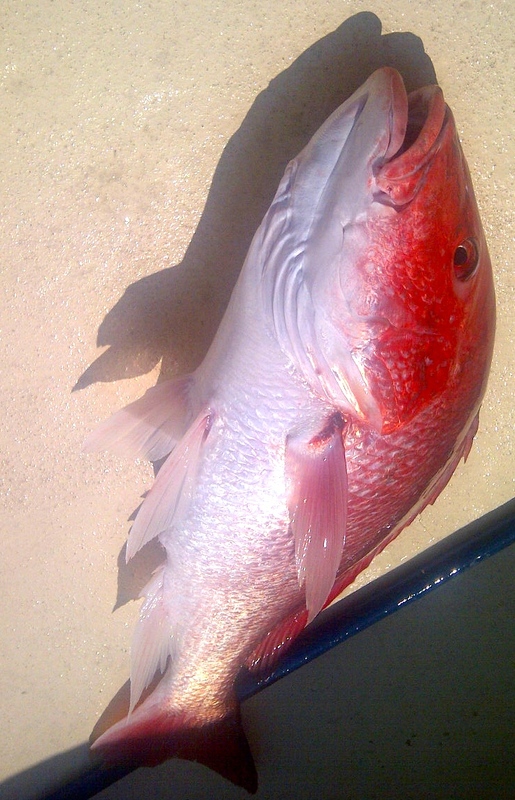 These fish are caught while bottom fishing above the artificial reefs the speckle the Alabama and Florida Gulf Coast. This Amberjack was reeled in by Austin while fishing on a semi-private (walk-on) fishing charter arranged by AAA Charters on the charter boat Rip Tide with Captain Seth Wilson. AAA Charters specializes in matching groups together for a deep sea fishing charter with one of our professional captains & crews. Six passenger & multi passenger boats are available, so we can make arrangements for any size group. 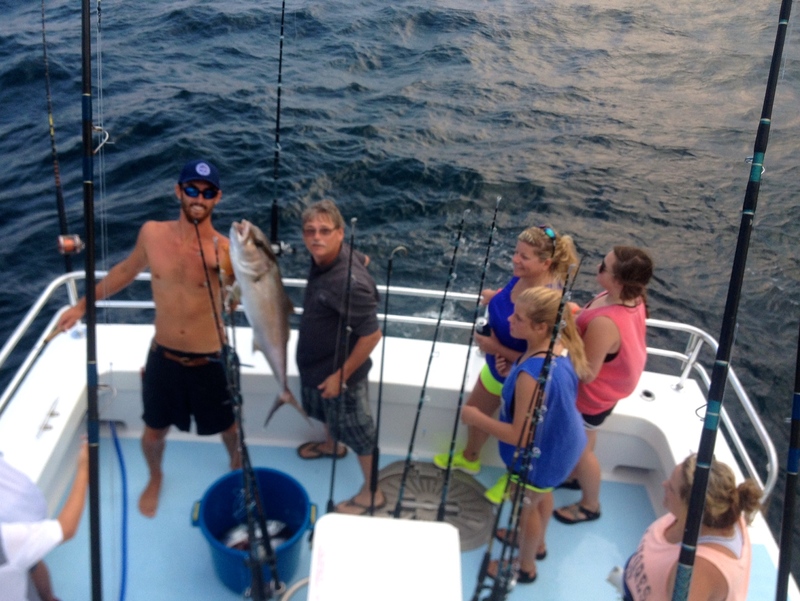 This entry was posted in Fishing, News and tagged alabama amberjack fishing charters, alabama deep sea fishing, amberjack fishing, bottom fishing alabama gulf coast, deep sea fishing for amberjack, family fishing in gulf shores al, gulf of mexico amberjack charters, gulf of mexico triggerfish, gulf shores al private fishing trips, gulf shores semi private fishing charters, orange beach al deep sea fishing, orange beach al shared expense fishing, orange beach al walk on fishing trips, orange beach semi private fishing charters, Triggerfish in FL state waters, walk on fishing trips gulf shores al on August 2, 2014 by AAACharters Team.